There is considerable current academic interest in the interface between geographical information systems (GIS) and the environment. This new monograph explores the process from start to finish. It begins with information acquisition in the environment and moves on to tool and techniques for manipulating the information, visualisation and navigation methods for exploring it, and computation and modelling techniques for its analysis. It then concludes with a survey of decision support, for its application. 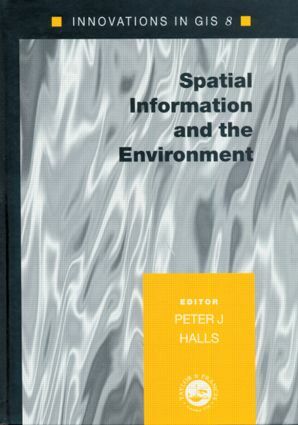 Spatial Information and the Environment is the eighth book in the Innovations in GIS series initiated in 1994. The series is in essence derived from a selection of the presentations made at the annual GIS Research UK conference 2000 held in York, and has now changed its focus by concentrating on a single topic, making each text distinctive.